Hello! Hope you had a great weekend! On Friday, we signed the contract for our countertops! We are so excited to finally get everything going. Since we have to have our farmhouse sink in before the templaters come, we spent the weekend doing work to get the sink installed. This swing dress was a sale purchase. It is perfect for these HOT summer days. The LOFT has major sales going on right now. I got some items for as low as $8! Be sure to check it out! What a darling and cool dress, Love it with the TB Miller sandals. Yay on the countertops, can't wait to see them! what a fun little dress, the print is fantastic. Very cute dress, the print is lovely! 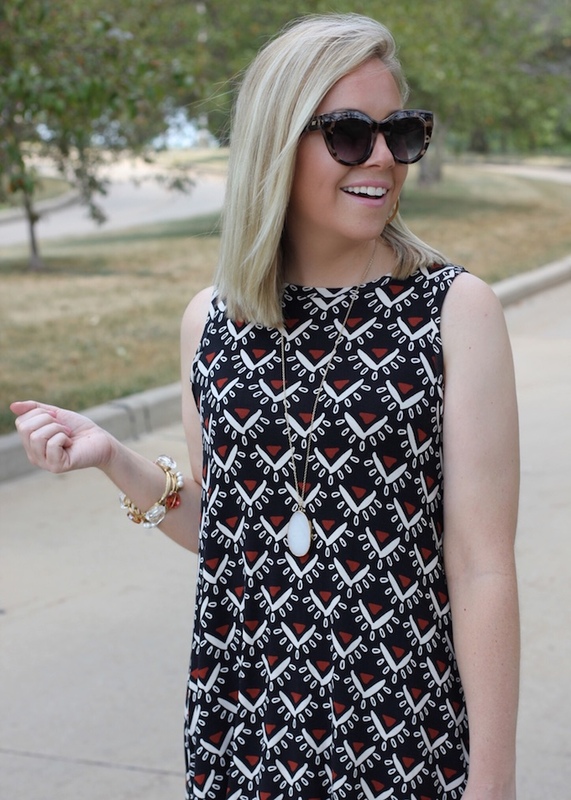 There is nothing better than a swing dress for those hot summer days! I hope you share your kitchen when you are finished! Yay for countertops! And loving this dress on you!